Are you looking for a learning experience that will take you beyond the walls of our little library? Then our museum passes are just what you need! Come on in and stop by the circulation desk to pick up passes from one of our six participating museum partners. After that, stop by the reference desk and let one of our reference librarians help you plan your day with travel information, restaurant suggestions, and reading recommendations with background information on the exhibits you will see. Hours: Varies throughout the season. See WEBSITE for details. Check Out: 3 Days | Late Fee: $10/day. $250 for lost card. Admits: 4 people. Under 3 get in free. 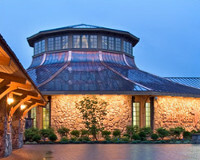 The Museum at Bethel Woods is an integral part of Bethel Woods Center for the Arts, which inspires people to lead creative and engaged lives through its many concerts, events, festivals, programs, and exhibitions—all on the site of the 1969 Woodstock Music and Art Fair. Check Out: 3 Days | Late Fee: $10/day. $125 for lost card. Admits: 4 people. Up to 6 yrs old get in free. 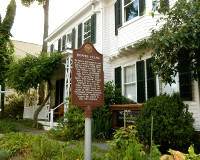 Edward Hopper House in Nyack, New York is the birthplace of the renowned American artist Edward Hopper (1882-1967). It was built in 1858 by his maternal grandfather, and served as his primary residence until 1910. After Hopper’s death the house fell into disrepair, but was saved from demolition and restored by members of the local community. Since 1971, the Edward Hopper House has been a not-for-profit art center. It is listed on the National Register of Historic Places. Check Out: 3 Days | Late Fee: $10/day. $150 for lost card. Admits: 4 people. Veterans and active military get in free. Situated abord the USS Intrepid, a World War II aircraft carrier, the Intrepid Sea, Air, and Space Museum is a cultural and educational institution. The Museum features a range of interactive exhibits and events providing stories of heroism and science education. The Museum’s exhibits include thrilling historical re-creations such as Kamikaze: Day of Darkness, Day of Light, and interactive displays. Visitors also can ride in the A-6 Cockpit Simulator, visit the Virtual Flight Zone, and tour the inside of the Growler Submarine. 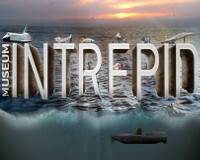 The Intrepid is now also home to the Enterprise, NASA's first space shuttle orbiter. Check Out: 3 Days | Late Fee: $10/day. $75 for lost card. Admits: 2 people. Plus 4 people under 16. 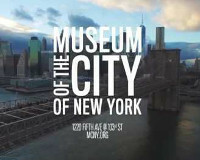 At once both an art gallery and an historical museum, the Museum of the City of New York specializes in its namesake city and its residents with pieces dating from when it was still called New Amsterdam. Explore the history of social activism in Activist New York, view the photography and cinematography of Stanley Kubrick, or stroll through a recreated room from the home of John D. Rockefeller. Admits: 2 people. Under 12 get in free. 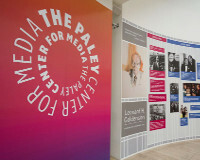 Renamed in 2007, the Paley Center for Media was originally the Museum of Television & Radio. Media afficionados will enjoy the unique collection, which is not artifacts and memoribilia as would be in a conventional museum but screening rooms and two full-size theaters where patrons watch the more than 120,000 TV shows commercials, and radio programs. Check Out: 3 Days | Late Fee: $10/day. $25 for lost card. Admits: 2 people. Under 18 get in free. Experience farm life first-hand on Heckscher Farm. A working 19th century New England Farm, Heckscher is home to more than 50 heritage breed animals. 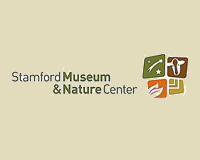 Join the Nature Classroom for a hike or a nature exhibition at the Overbrook Nature Center. Nurture your soul with art at the Bendel Mansion and Museum Galleries, which includes several pieces of Italian Sculpture. Discover the stars at the Stamford Observatory and Planetarium, which explores a different astronomical theme each month. Come visit Edie and Robert, two North American river otters, as they swim, play, and climb in the Otter Pond! Only a 40 minute drive from Blauvelt. Admits: 2 people regardless of age. 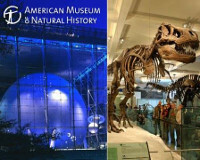 One of the most celebrated and venerated museums in the world, the American Museum of Natural History is sure to delight and entertain visitors of any age. Search out the history of man in the Hall of Human Origins, walk under the enormous whale in the Hall of Ocean Life, or travel deep into the heart of the universe on the Cosmic Pathway. For inquisitive minds, the museum is a truly wondrous experience.